Severe tooth loss can greatly impact oral functions, threaten the structure of the jawbone, and compromise the appearance of the smile. For these reasons, it is important to address adult tooth loss with restorative dentistry services to rebuild the smile. 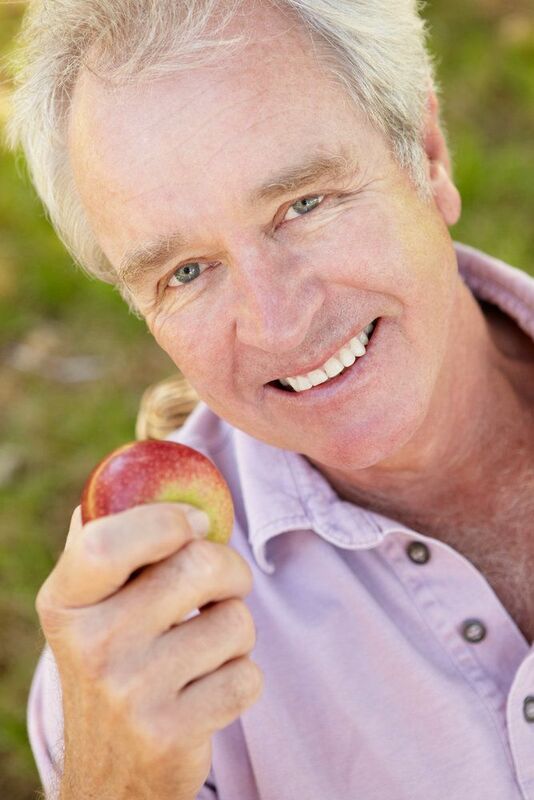 When a significant amount of teeth have been lost, the most practical solution is dentures. Dentures are a single restoration that can replace up to an entire arch of missing teeth. However, there are some downfalls to traditional dentures, which include complicated oral hygiene requirements, a lack of stimulation to the jawbone, and difficulty achieving a secure fit. Implant-supported dentures benefit Dr. James Altomare’s Skillman, NJ patients by restoring the strength, function, and beauty of the smile, without the disadvantages of traditional dentures. Enhanced stability: Traditional dentures sit on the gums, where they are generally held in place using a denture adhesive. For many patients, this leaves the dentures feeling loose, and may result in the dentures slipping or falling out of place. Implant-supported dentures are attached to metal abutments, which are connected to dental implants that have actually fused with the jawbone. Essentially, this makes the implant-supported dentures just as secure as the natural teeth, giving patients the most comfortable fit possible, and eliminating the fear that dentures will fall out of place. Jawbone support: While traditional dentures enhance the structure of the smile by offering patients a full set of teeth, they fail to address the jawbone. When a tooth is lost, its roots are lost as well, and it is a tooth’s roots that stimulate the jawbone and encourage the continual growth of healthy tissue. Dental implants are surgically placed in the jaw so that they act as artificial tooth roots. These implants provide the stimulation that is needed to ensure that the jawbone does not continue to deteriorate and compromise the structure of the mouth and jaw. Ease of care: Because of the adhesives that are necessary to hold traditional dentures in place, and because they need to be removed for cleaning, regular dentures can be difficult to care for and keep clean. In contrast, implant-supported dentures are easy to clean. Because they are so secure, patients are able to brush and floss implant-supported dentures just as they would the natural teeth. Durability: Implant-supported dentures are made of the finest and strongest materials. Add this to the fact that they have the most secure foundation, and you have the most durable treatment option for missing teeth. In fact, with proper care, dental implants should last a lifetime. It is these important benefits that make implant-supported dentures one of the most popular and highly recommended restorative treatment options for patients who have suffered from tooth loss. If you have experienced tooth loss, it is important address the problem in order to protect the strength and function of the smile. To learn more about the restorative treatment options offered by Dr. James Altomare, or to learn more about the benefits of implant-supported dentures, schedule an appointment at your earliest convenience.